Scrapes, also known as abrasions, are caused when shallow layers of skin are scraped off by contact with a surface. Amputations, which may be used to treat the most serious wounds, are when a limb is detached from the body. 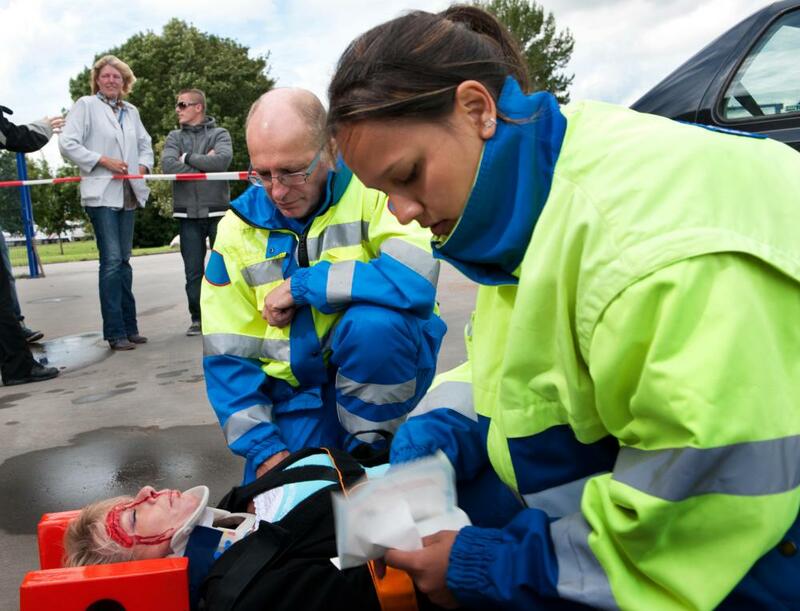 Some wounds are serious, life-threatening injuries and require immediate medical attention. 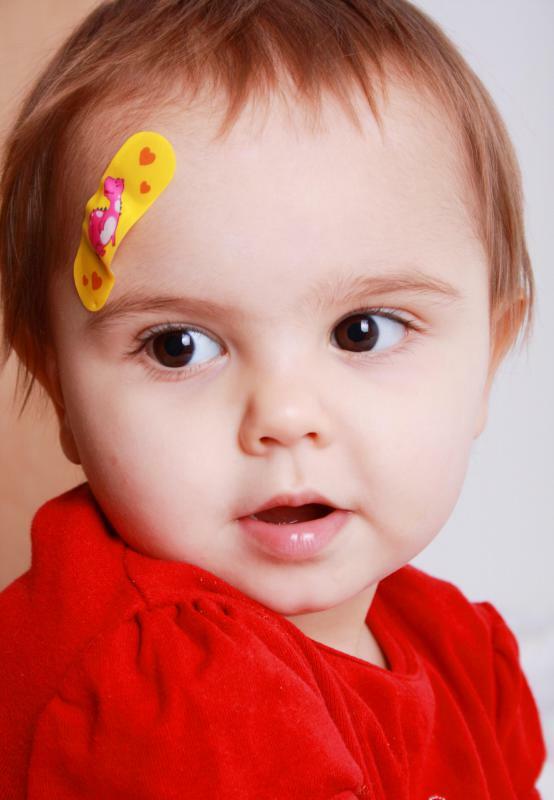 Wounds may be relatively minor and can be treated at home with basic first aid. A bruise is considered a minor hematoma. Incisions are typical wounds caused by knives. Tourniquets may be applied after trauma to prevent blood loss. Wounds from bullets or gunfire can cause deep punctures that pose a serious risk to the victim. 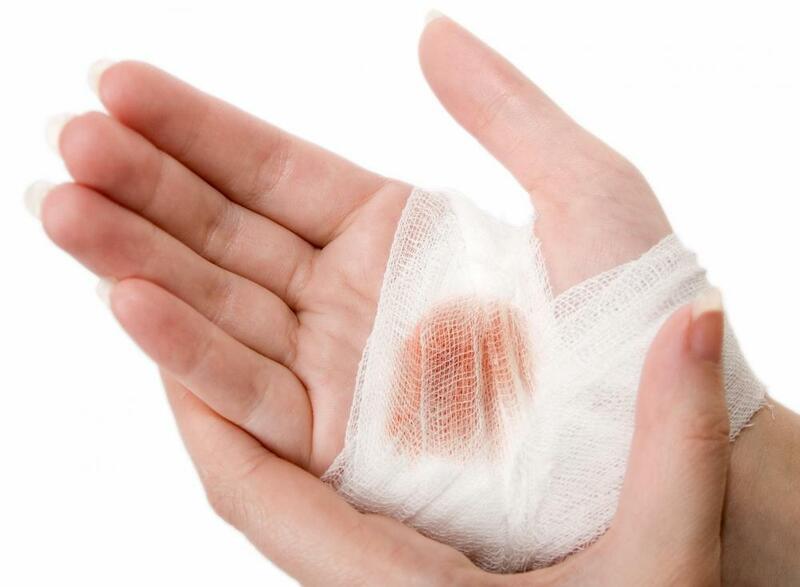 There are many different types of wounds ranging from mild to severe to potentially fatal. Contusions, small incisions, and abrasions tend to be non-threatening, though some may pose the risk of infection. Deep punctures, avulsions, and amputations, however, may be life threatening. In most cases, the risks posed by all types of injuries differ in severity based on the instrument causing them, the ease of blood flow, and the cleanness or jaggedness of the edges of the damaged skin. Generally, the least severe type of injury is a contusion. Resulting from forceful contact to the skin, outer skin tissues from contusions generally appear intact and minimally harmed. They often appear as a discolored bruise and require little care. The risk of a deep hematoma, in which an abnormal amount of blood clots in a particular location, may be very serious though also unlikely. Despite the general lack of severity associated with most types of contusions, hematomas in or near the brain may be fatal. Incisions are typical injuries caused by knives, razors, or glass pieces. Cuts tend to be clean, and the wound tends to bleed easily and freely. As flowing blood prevents microbes from entering, there is generally little risk of infection from incisions. Sometimes skin is torn rather than cleanly cut, resulting in wounds known as lacerations. Such an injury has jagged, uneven edges, often caused by dull knives or machinery. Due to the possibility of dirt, grease, or other foreign objects being present in the instrument causing the wound, lacerations a prone to infection. The potential depth and irregular edges create an area which bacteria and other microbes may easily penetrate. Punctures are similar to incisions, though with a small opening. Sharp objects such as nails, needles, or bullets may cause a puncture wound. 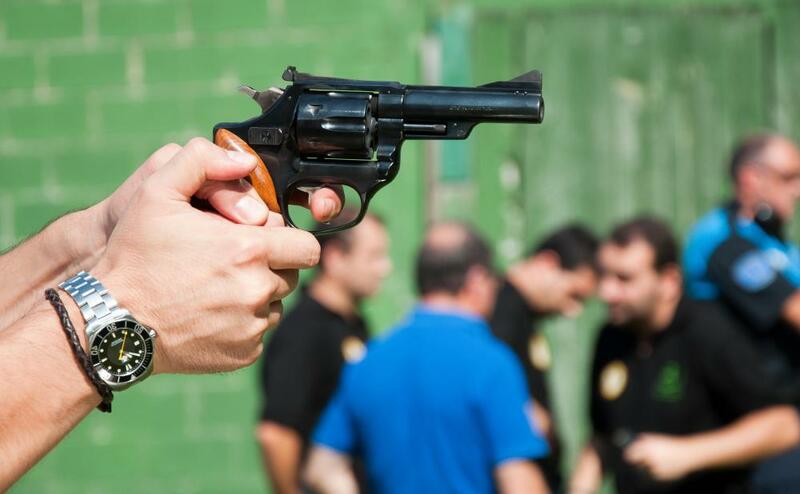 Although punctures are often non-severe and possibly even medically sound, as is the case with vaccinations, bullet wounds and other deep punctures may pose infection and internal bleeding risks. 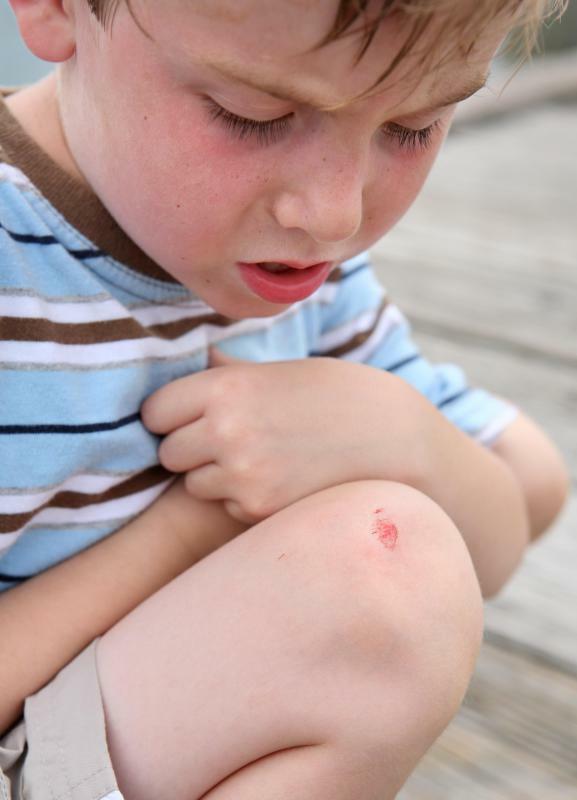 Abrasions, often known as scrapes, may be mild or severe types of injuries. Surfaces such as rugs, asphalt, or ropes rub against the skin, scraping shallow layers of the skin's surface. Due to close contact with materials in the surface scraped against, abrasions are susceptible to infection. Another type of wound, known as an avulsion, takes place when skin tissue is physically torn away from a body part. Bleeding from avulsions tends to be heavy. The skin tissue can sometimes be re-attached to the body part it was torn from, pending its being salvaged quickly and with proper sanitary procedures. One of the most potentially severe injuries is an amputation, in which a limb is removed from the body. Surgical amputations are performed by medical professionals, whereas traumatic amputations occur in hazardous situations. Heavy bleeding is imminent and the patient will go into shock. Re-attachment of the limb is often successful, and bleeding may be stopped or slowed with a device known as a tourniquet. What Is an Incision Wound? 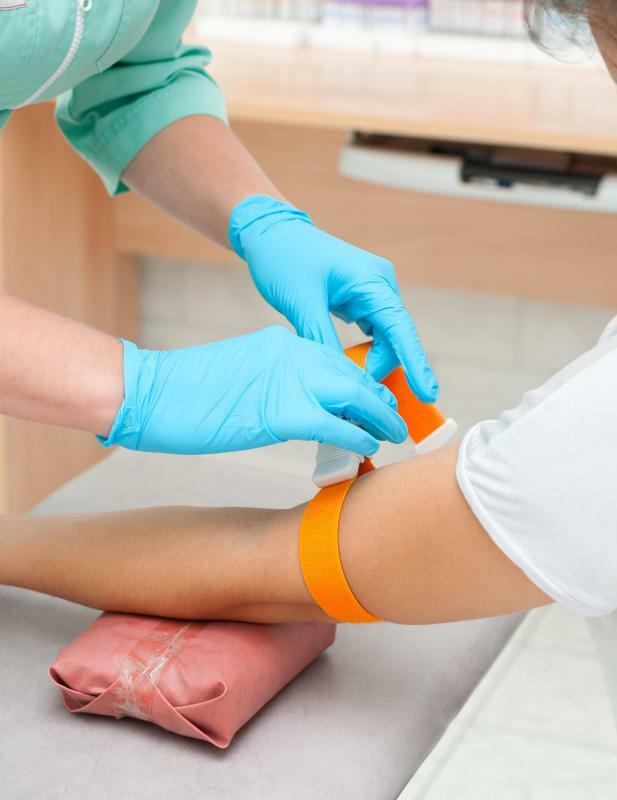 What is a Wound Healing Assay? Most wounds benefit from immediate treatment with an antiseptic, such as hydrogen peroxide, witch hazel, raw/unprocessed apple cider vinegar or white vinegar. The burning sensation that frequently occurs during application is due to the killing of infection. Keep an eye on wounds to ensure they don't appear red and inflamed, as these are signs of infection. Multiple applications of an antiseptic each day is usually enough to treat the wound, depending on its size.